In the second of the guest posts from the International HIV/AIDS Alliance, we read the story of a wonderful young woman Momima. Like me, she wants to live her life without “crying over spilt milk.” Do read on, it is a moving story of courage in the face of difficulty. Momina is a twenty-tw0-year-old single mother-of-two who lives in the city of Adama in central Ethiopia and was diagnosed as living with HIV three years ago. Although she wears a smile, sadness is etched across her face when she talks about her younger son, Yerosa. Born HIV-positive, he is now three but Momina knows very little of his life save for the occasional photos she is sent by the American family who adopted him. Momina took the agonising decision to give him up for adoption in the hope that he would be able to receive medical treatment. In telling her story today, Momina hopes that she might help other young women, just like her, to know how they can protect themselves from contracting HIV and get the care and support they need through projects like Link Up being led by the International HIV/AIDS Alliance. When Momina was a teenager, she left her family home as she was afraid that her parents were marry her off to an older man as they did with her older sister – who later died of AIDS. After falling pregnant with her first child Rapira, and without the support of her parents, she was forced to move from community to community, taking temporary jobs where she could, to try to provide food and shelter for her son. “I don’t want my child to starve or get hurt,” says Momina. Without life being tough enough already, three years ago Momina was diagnosed as living with HIV. At that time she had no idea that she was pregnant and subsequently she was not able to receive the treatment needed to protect her unborn child from onward transmission of the virus. When her youngest son, Yerosa, was just four months old, Momina learned that he was HIV-positive and took the agonising decision to give him up to a family in the United States in the hope that he would receive the medical care he needed. Determined not to be defined by her HIV-status, even when her own mother will not allow her into her family home for fear that she might infect her siblings, Momina remains candid about her condition with her friends and colleagues. But in a country where HIV stigma and discrimination still prevail, her openness sometimes costs her and she is presently between jobs. “I do not let myself down because I live with HIV and have my own objectives. 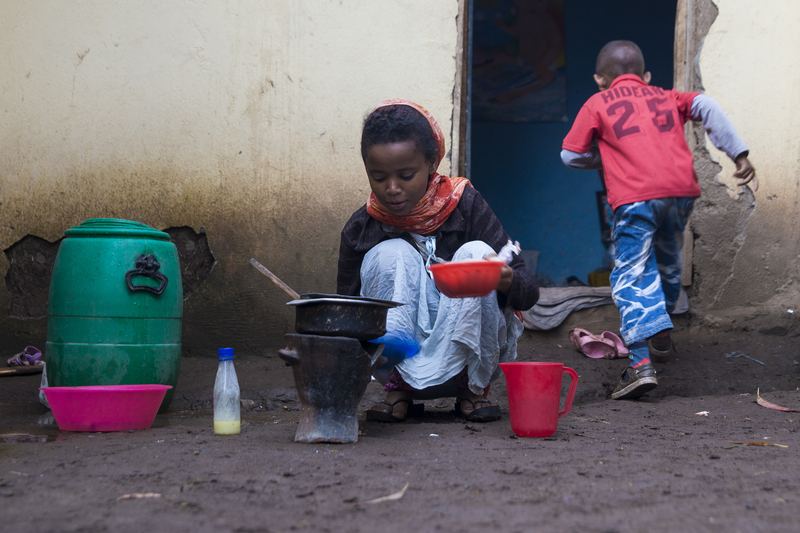 Momina is assisted with access to HIV treatment and care by Ethiopia’s largest NGO working on HIV, the Organization for Social Services for AIDS (OSSA). OSSA is in turn supported by the International HIV/AIDS Alliance. Every fortnight she attends a support group meeting organized by OSSA where she and other members of her community living with HIV meet to share their experiences. OSSA has also helped contribute to her son Rapira’s annual school fee. Momina is determined to see that he gets a good education. “I wish for him something much greater than I had,” she says with feeling. In another world, life for Momina and her family could have turned out so very differently. If she had known how to protect herself against HIV…if she had gone through proper antenatal care when she was pregnant with Yerousa…if she had not felt compelled to run away from home for fear of early marriage…if she was able to work freely without worrying about becoming a target for discrimination. Ethiopia is one of five countries currently being targeted by the Alliance and its partners through Link Up, an initiative that aims to improve the sexual and reproductive health and rights of more than one million young people living with and affected by HIV. Over the course of the next three years, Link Up will reach more than one million young people aged 15–24 years by implementing tailored HIV and sexual and reproductive health interventions to increase uptake and access to services and reduce unintended pregnancies, new HIV infections, and HIV-related maternal mortality. 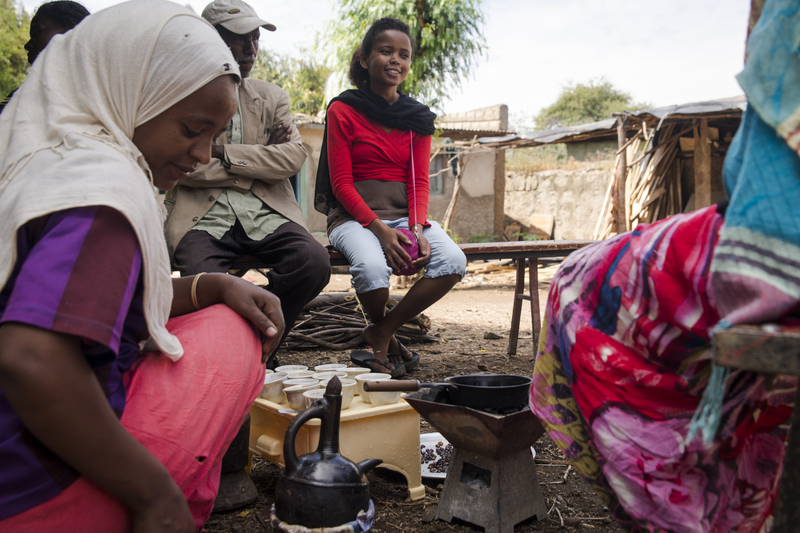 In Ethiopia the initiative aims to reach 140,000 young people to improve their sexual health. Thank you for taking the time to read Momina’s story today. It means a lot to everyone involved in this project. Previous Unsung heroes of Belfast.